李刚, 罗铭, 耿敬, 等. 节制闸与泵站联合工作的数值模拟研究[J]. 哈尔滨工程大学学报, 2019, 40(4), 663-669. DOI: 10.11990/jheu.201709052. LI Gang, LUO Ming, GENG Jing, et al. 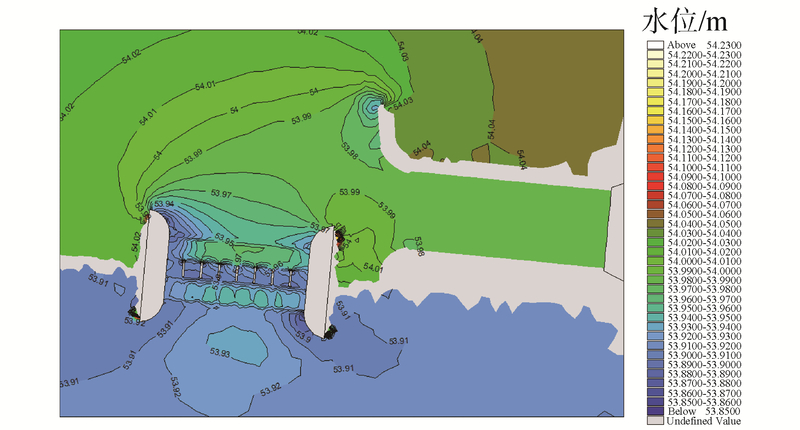 Numerical simulation of combined work of check gate and pumping station[J]. 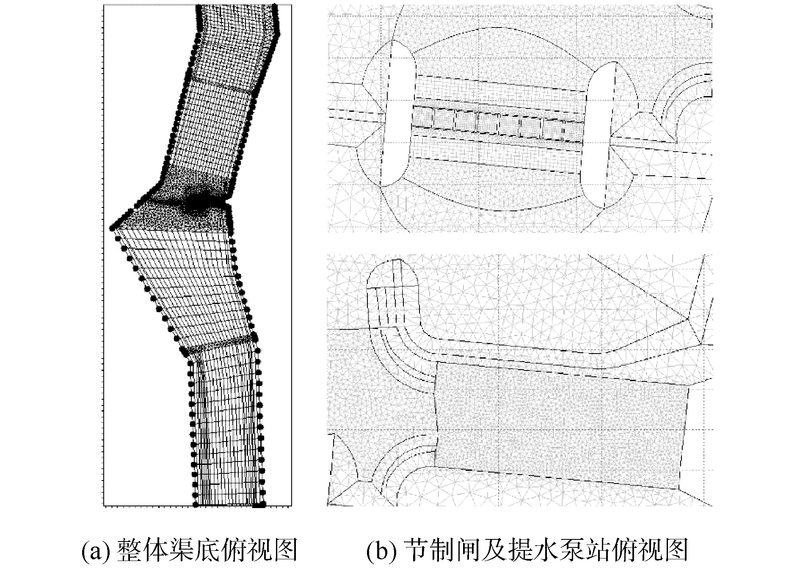 Journal of Harbin Engineering University, 2019, 40(4), 663-669. DOI: 10.11990/jheu.201709052. 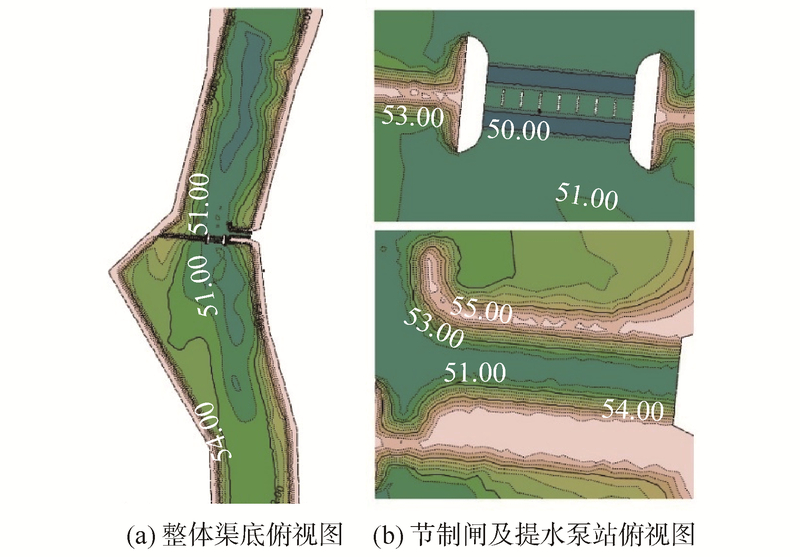 Abstract: It is difficult to determine the flow field affected by the combined work of the check gate and pumping station.Numerical simulation of combined work of a check gate and pumping station in the channel of the Qinglongshan irrigation district was conducted by using MIKE21 FM hydrodynamic model.Detailed water surface and flow field data of the check gate and pumping station were obtained, and the influence between the check gate and pumping station was analyzed.Results show that the flow field of the check gate is asymmetrical and certain problems occur, such as flow velocity concentration and flow rate exceeding the scope of the revetment, which is affected by the pumping station.Four optimized layout of check gate and pumping station are proposed to address these problems.These optimization schemes are validated by numerical simulation by flow asymmetry and stability, which provides an important reference for the arrangement of the combined work of the check gate and pumping station. 王雷, 史文彪, 杨开林, 等. 南水北调中线惠南庄泵站进水前池布置方案的分析研究[J]. 南水北调与水利科技, 2008, 6(1): 185-193. 谢省宗, 王雷, 冯宾春, 等. 惠南庄泵站前池流道模型试验研究[J]. 南水北调与水利科技, 2005, 3(4): 4-7. 王芳芳, 吴时强, 肖潇, 等. 三维数值模拟在泵站侧向进水前池的应用[J]. 水利水运工程学报, 2014(2): 54-59. 陈松山, 屈磊飞, 葛强, 等. 泵站枢纽三维湍流数值模拟研究[J]. 扬州大学学报(自然科学版), 2005, 8(2): 70-73. 高传昌, 刘新阳, 石礼文, 等. 泵站前池与进水池整流方案数值模拟[J]. 水力发电学报, 2011, 30(2): 54-59. 虞鸿, 张永进, 刘海泉. 大型泵站前池复杂流场的数值模拟及优化设计[J]. 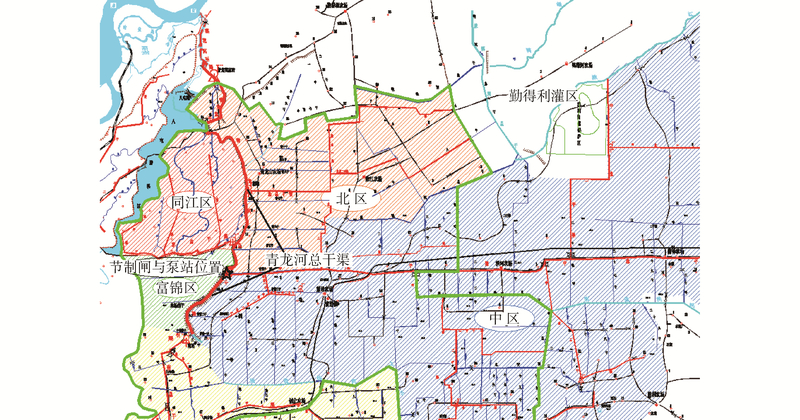 水电自动化与大坝监测, 2013, 37(4): 66-70. 耿敬, 张洋, 李明伟, 等. 洪水数值模拟的三维动态可视化方法[J]. 哈尔滨工程大学学报, 2018, 39(7): 1179-1185.